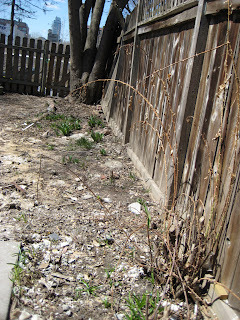 Note to those considering hiring a landscape designer in the future: I guess you have to be a jerk. I told the designer the budget in which I said "Absolutely no more than $X." Because I really didn't want to spend that much. The first plans he gave us were at LEAST double that amount. Um, what?! And of course, the contract is only for a certain number of designs. So great, we just paid for absolutely useless designs. Thanks. He said it was because he wanted us to see "what was possible." Upselling. Well, he clearly didn't listen to me because even the designs that were more than double the budget didn't include ALL of the things I'd asked for. I had put together a Pinterest inspiration board. I sent him the link. I sent him the list of things we wanted. Perhaps if he'd spent more time going over these things with me, asking questions, he would have better understood what kind of design would work for us. He didn't do this. He met with us once, got the links, and came back with two over-priced designs. Great. In the end, the number of design iterations had to stop before I was actually super happy. We arrived somewhere that was past our design budget, which upset me, but I got another quote on the work and the pricing was in the right realm. Landscaping is just expensive. Unless you want to do it yourself, having the time, knowledge and the back-power to do it. I have nothing but the interest and that meant paying someone. Down came the old dilapidated, makeshift deck railings. Up went a built-in trellis. 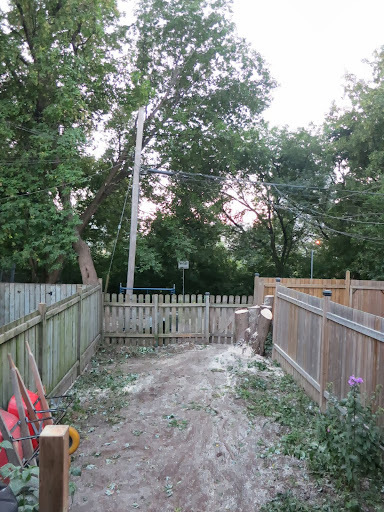 Down came our silver maple (to the tune of $5k... gulp). In came the sun. Then we went to have a look at the stones that we were supposed to have installed. Fake flagstone, which we were assured looked GREAT... upon seeing it in real life? Not so much. So we had to pick out something new. Our landscaper didn't offer any natural flagstone that wasn't straight-line cut. Not exactly sure why: maybe it was out of our budget. So I went "window shopping" in a lovely neighbourhood to get inspired. 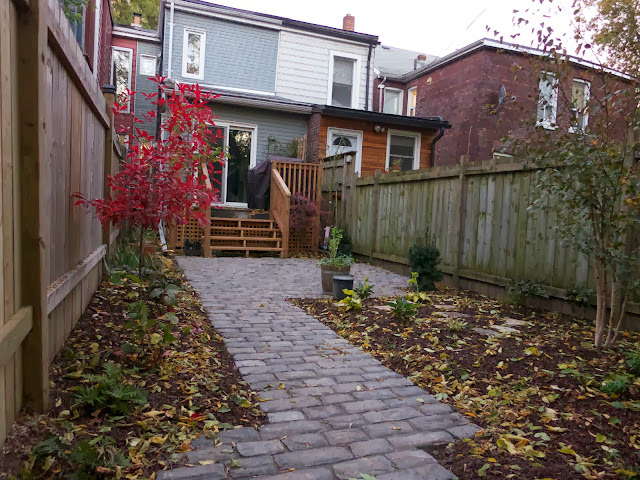 I ended up choosing a lovely cobbled-brick look that was even cheaper and I'm thrilled with how it looks. Then there was the tree situation. The beautiful trees we'd chosen weren't accepted by the City of Toronto. We had to replace our ONE tree with THREE canopy trees in our tiny backyard. Wow. Totally the opposite of what we wanted. And ridiculous. But we chose. A birch, an oak and a red gum. There was a miscommunication and we ended up with FIVE trees instead of the original three we'd agreed to. However, while they are small trees, they look fine. I now wish that I'd gone to someone like Sheridan Nurseries where they will give you the design/plan for free if you buy the products from them. But perhaps we would have been no better off -- one can never know about the road not taken. Am I happy with the outcome? YES. Should I try NOT think about how I could have saved a few hundred dollars in order to get to the same (or similar) place? YES. 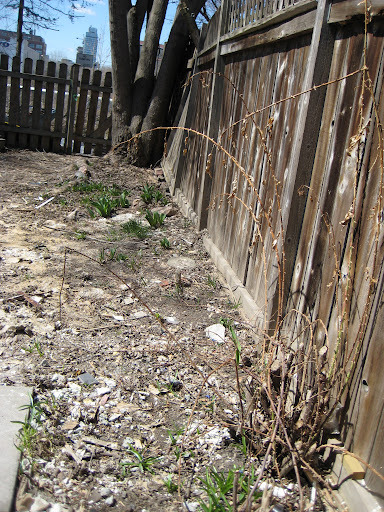 Will I recommend my landscapers? No. The implementation work was fine. The design was mediocre. For more photos, check out my Picasa album and Gordon's Picasa album. Paint the deck. We might keep the top wood as-is and paint only the floor boards, since they are currently two-toned. OR paint the whole thing. To be decided: let me know if you have an idea. Buy or build a new patio set. Gordon has sourced some DIY patio table plans. Cue the JAWS music. Bike shed. I want one - but only the right one. Gordon's not keen on it. This will likely wait a while.